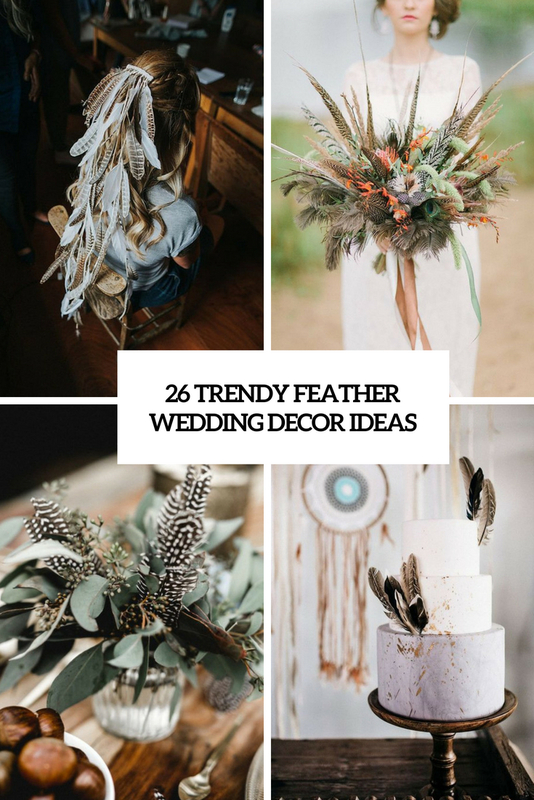 Feathers are a creative idea for home and event decor, they fit many wedding styles and themes including super popular boho weddings. 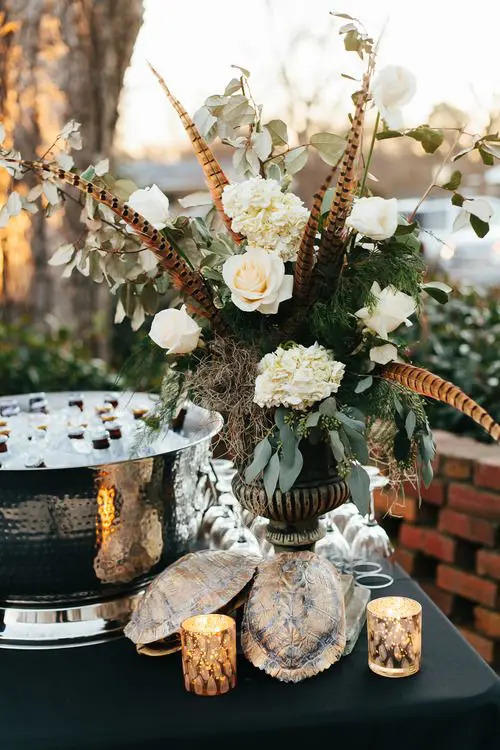 This is a great alternative to usual florals for wedding decor and they can be used not only for centerpieces or backdrops, there are many trendy ways to rock them on your big day. 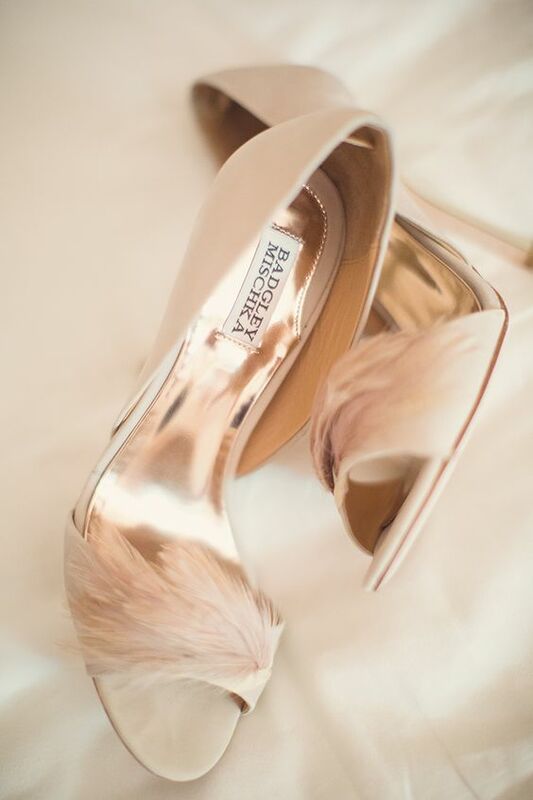 Wanna see them all? 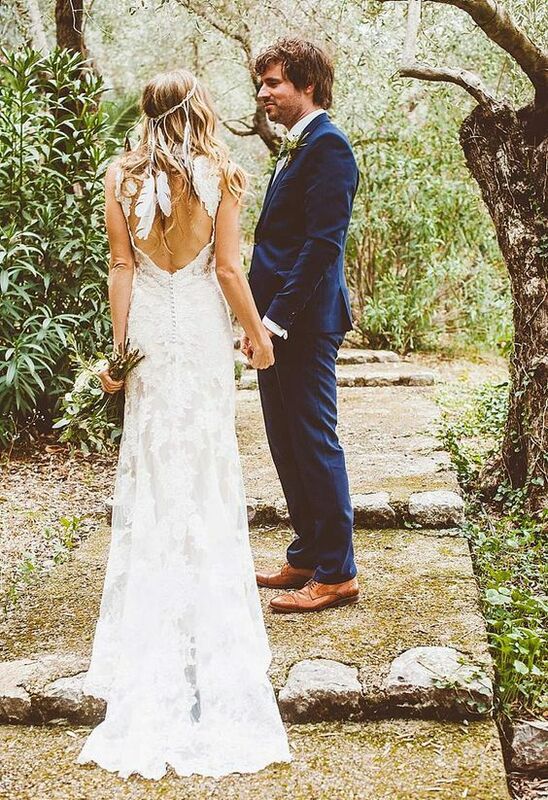 Let’s do that! 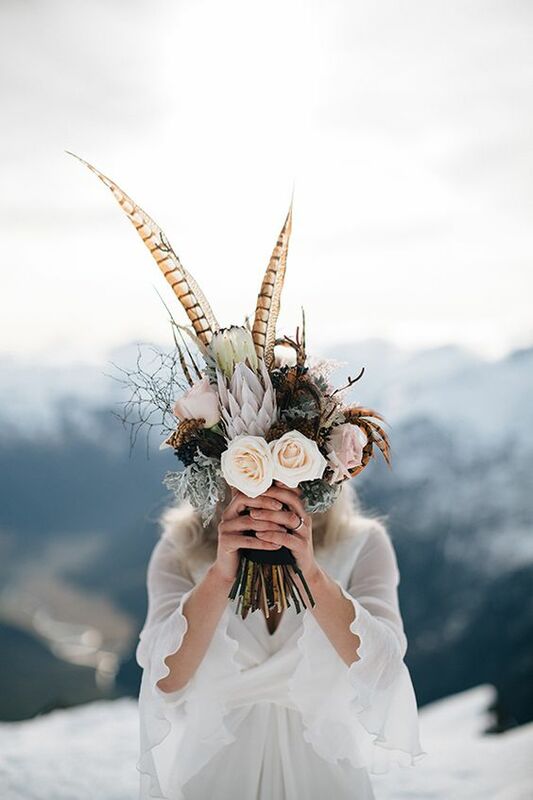 Who needs a floral crown when you can have feathers? 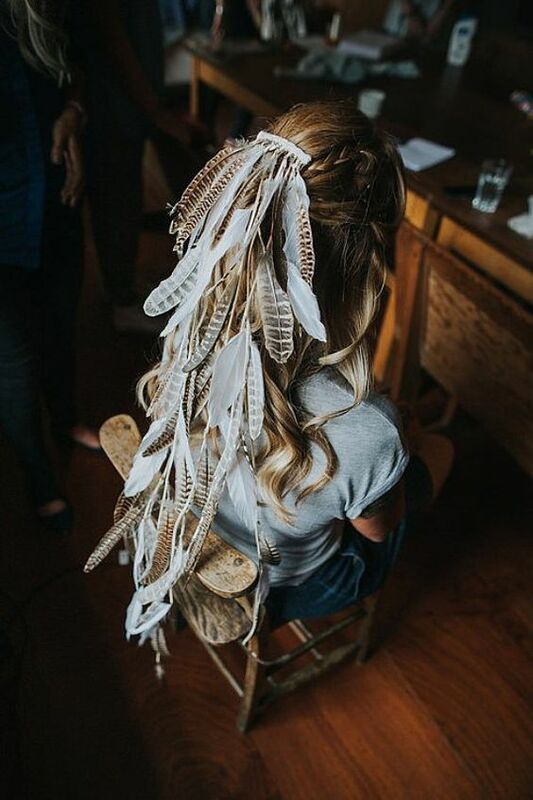 There are tons of beautiful feather wedding headpieces and veils, and even if you don’t find a piece that you like – just DIY it. 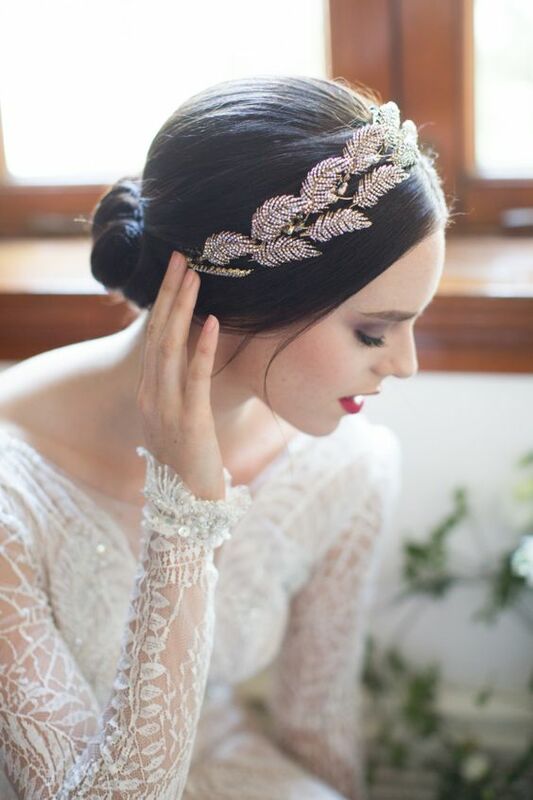 The feather headpiece can be also a rhinestone one, there are tons of jeweled headpieces. 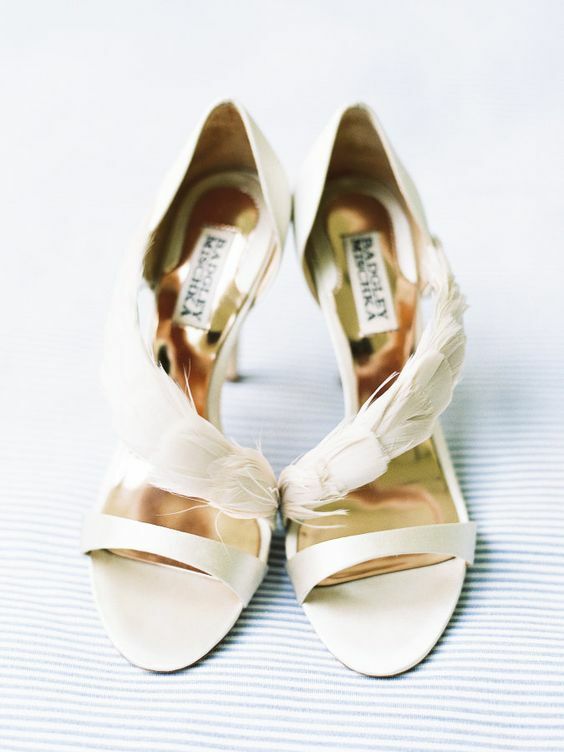 You may also find chic wedding shoes with feathered parts and straps, they are sure to add interest and catchiness to your bridal look. 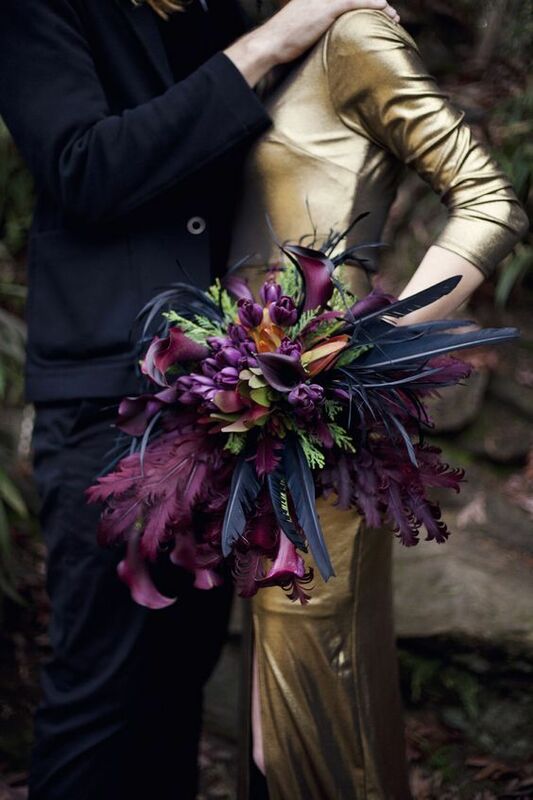 There are also beautiful feather wedding dresses for an art deco or glam wedding, look for them here. 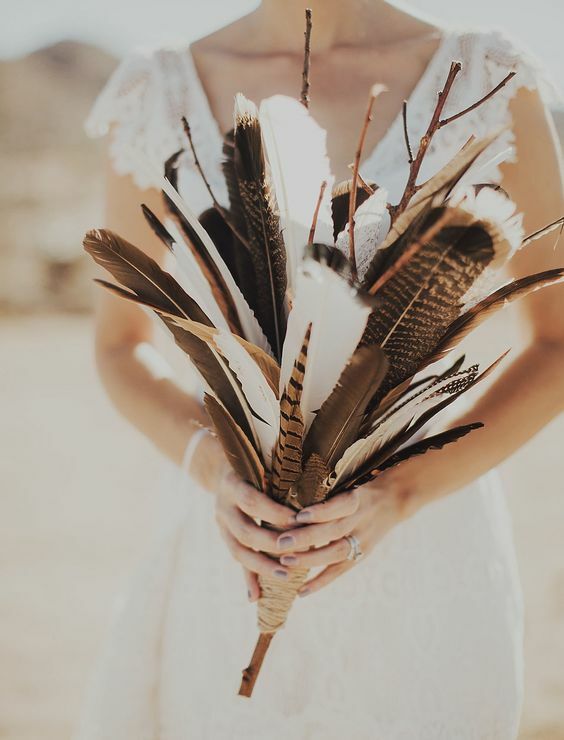 If you don’t feel like a feather wedding headpiece or dress, think of covering up with a feather piece, it will add comfort and interest to your look. 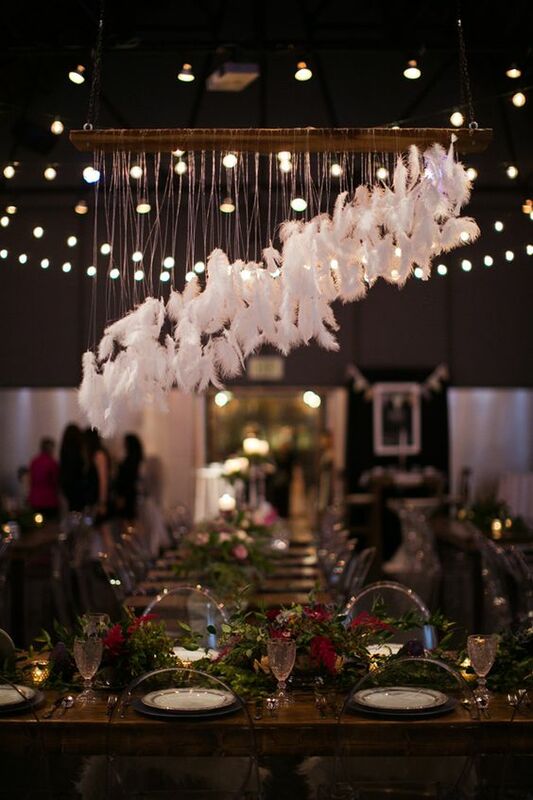 Feathers are amazing for wedding decor: you may create a beautiful backdrop of hanging feathers, they may also be dipped in gold glitter. 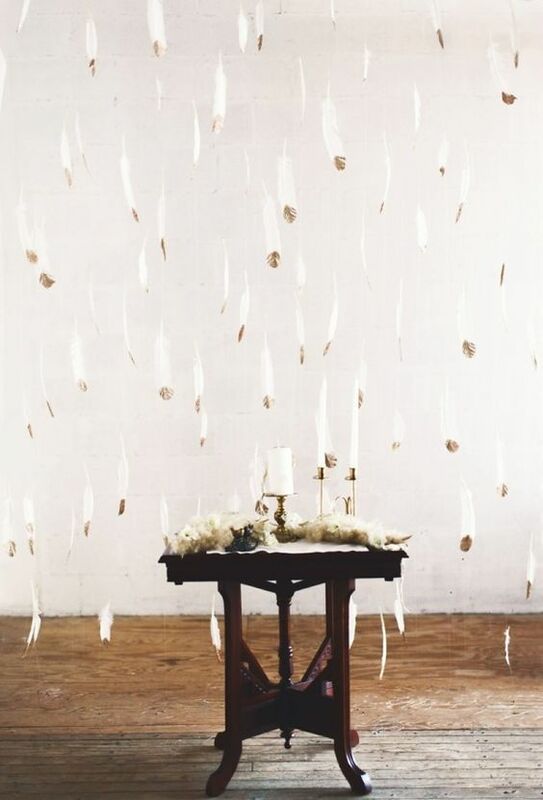 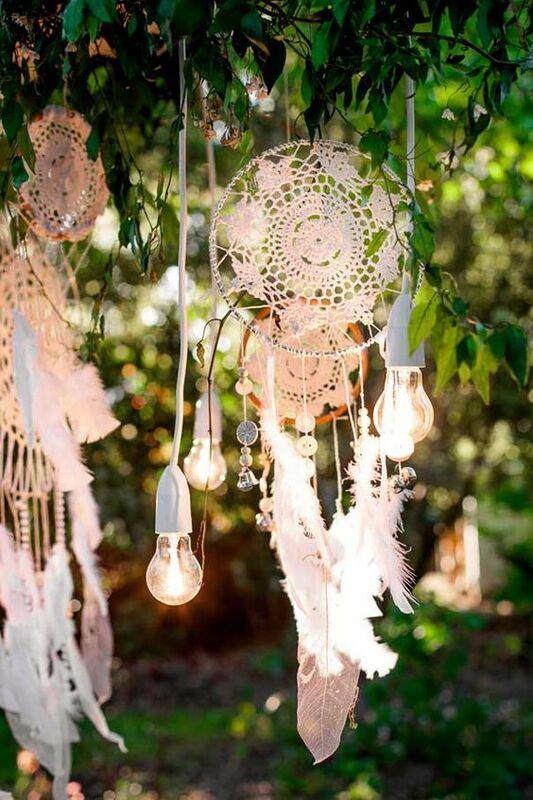 Such a backdrop will be a good idea for not only a boho wedding but also for a glam or modern one. 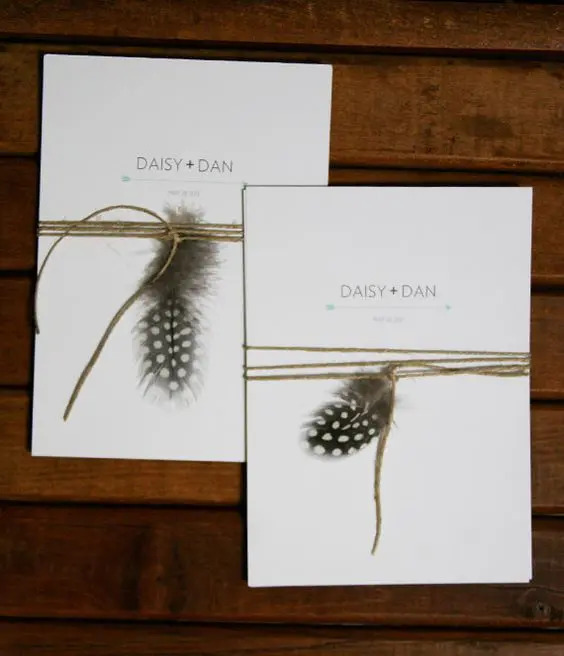 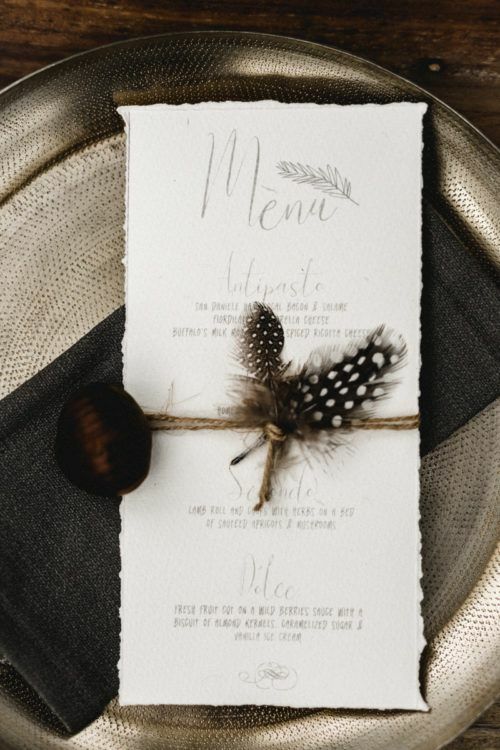 Feathers can be added to all kinds of stationery – attach them to twine and cover your stationery. 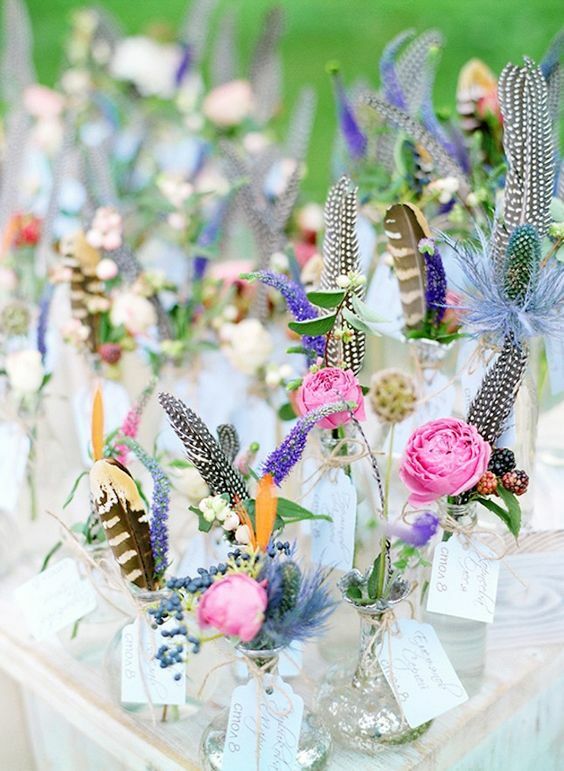 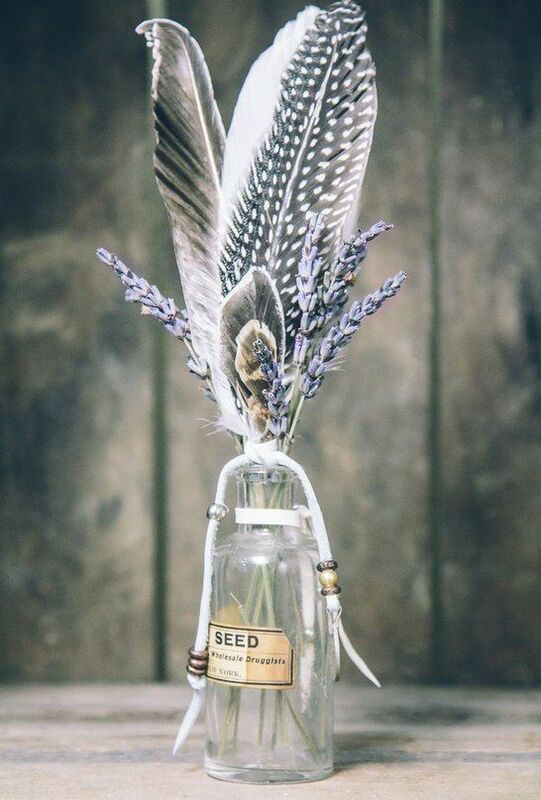 Create simple and cute wedding centerpieces of bright blooms, greenery and feathers in bottles. 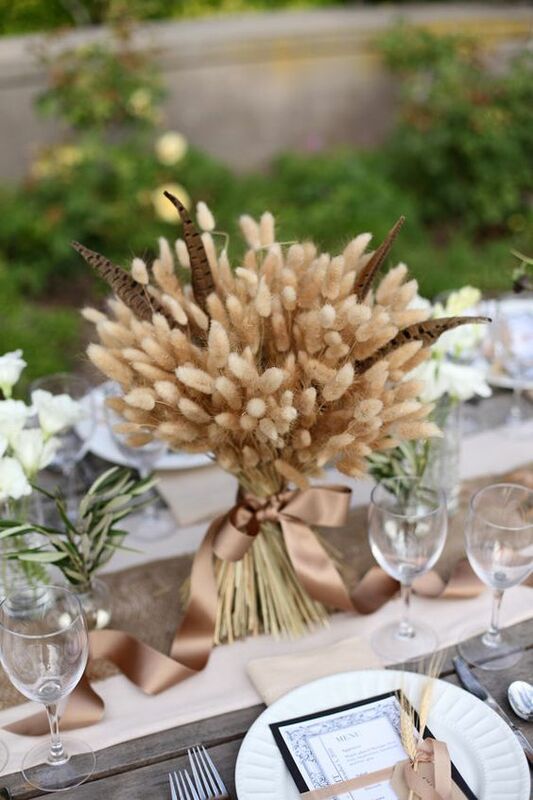 You may skip any greenery and blooms and make centerpieces only of feathers and wheat for a non-traditional look. 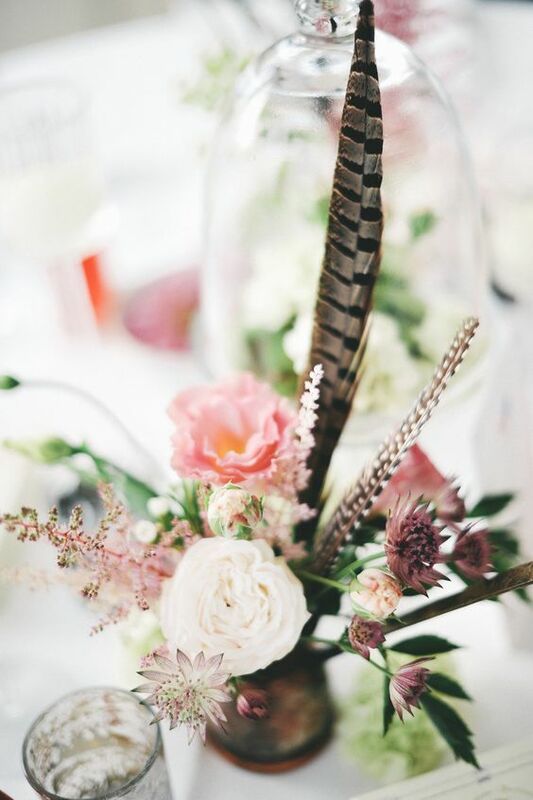 Add feathers to your wedding bouquet to make it textural and interesting. 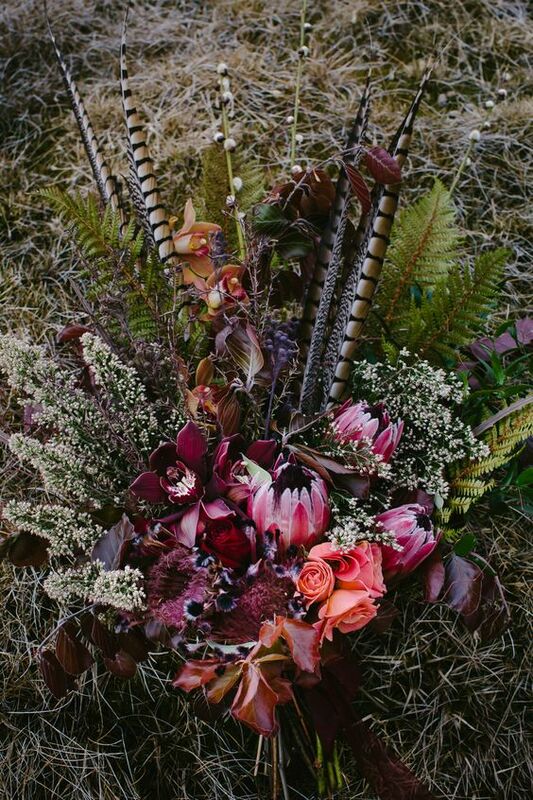 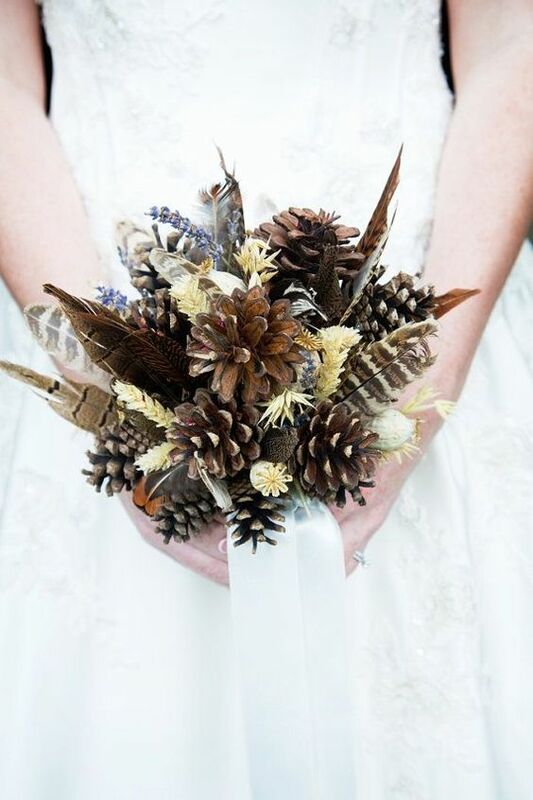 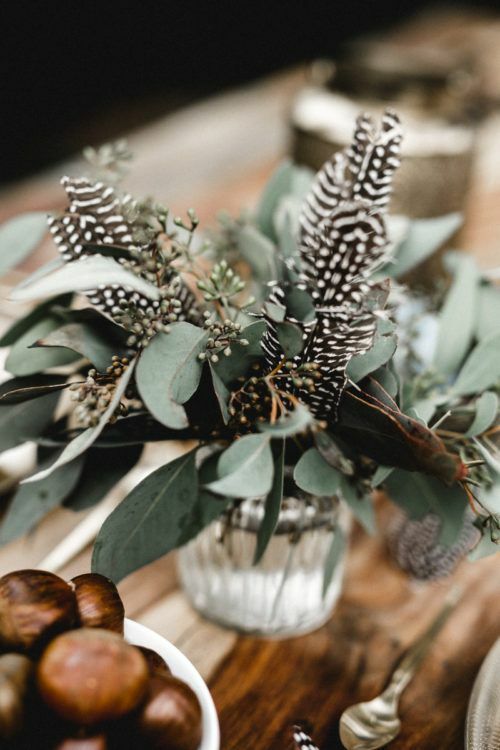 Any boho wedding bouquet will get a bolder look with feathers, and you may also go for a feather bouquet with dried herbs and pinecones for an alternative fall wedding bouquet. 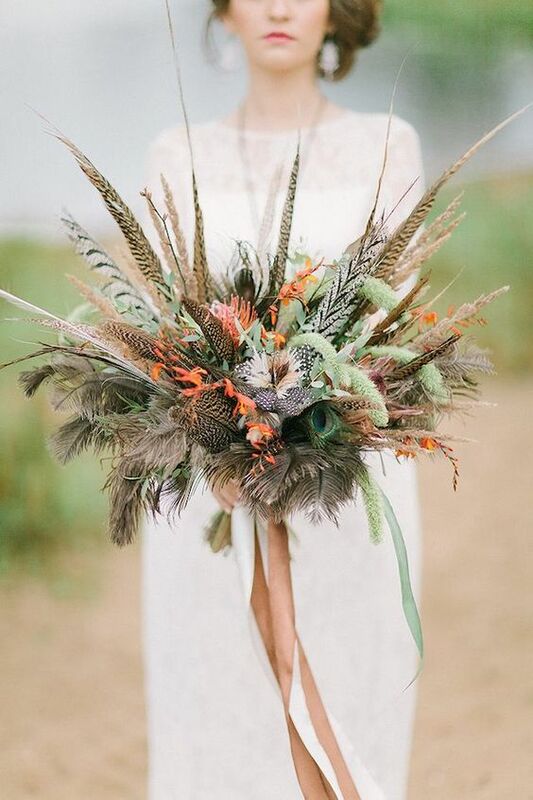 Feathers are great for many bouquets, not only fall ones, any boho bouquet will profit from feathers. 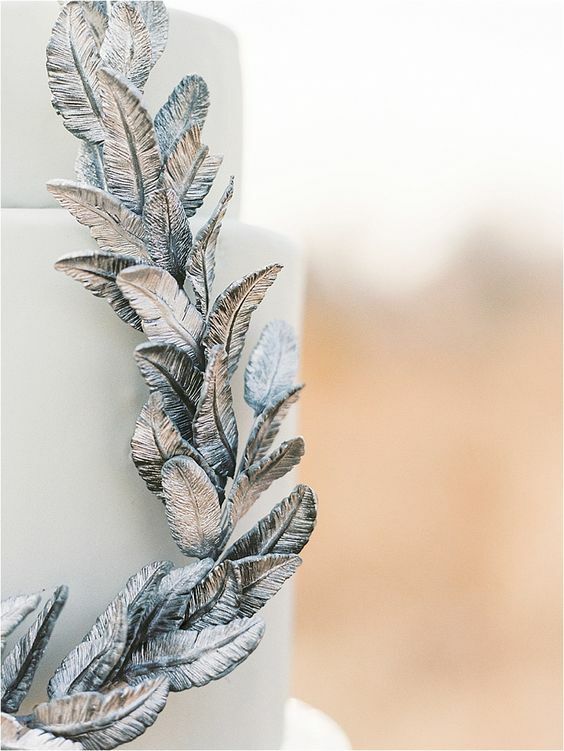 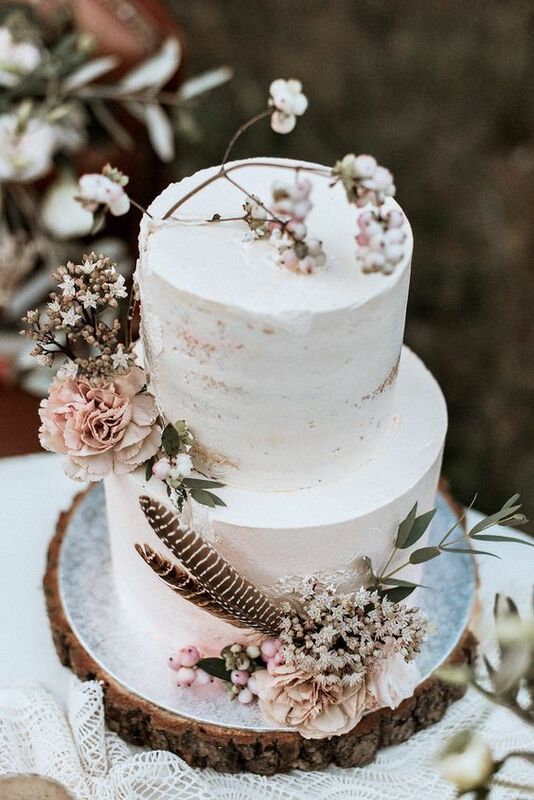 Decorate your wedding cake with edible or real feathers, combine them with greenery, dried leaves, herbs and other stuff that fits your wedding decor and theme. 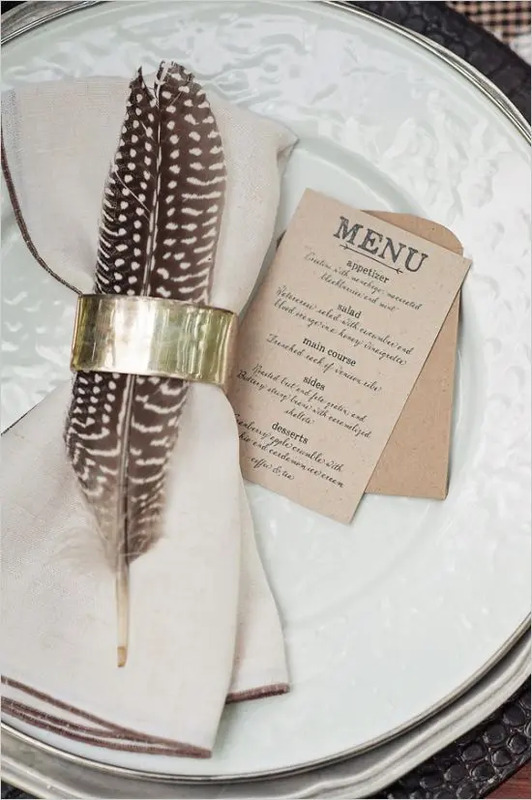 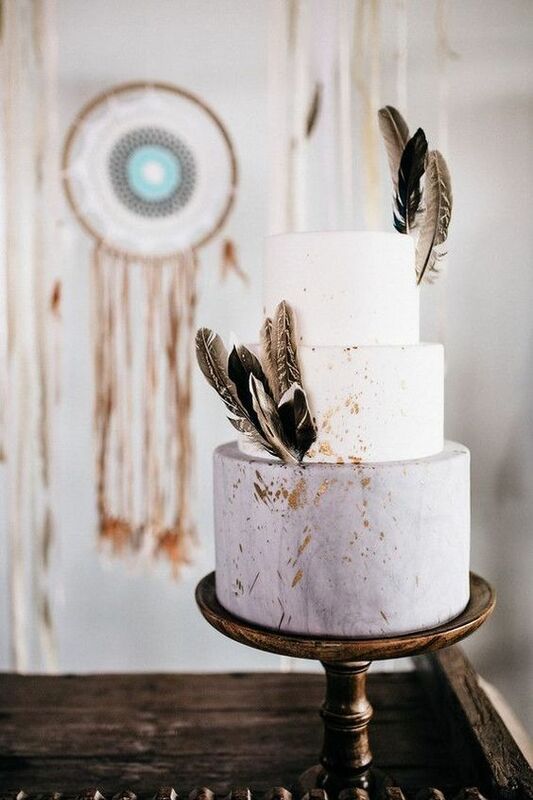 Get inspired and bring a strong boho feel to your wedding with feathers!